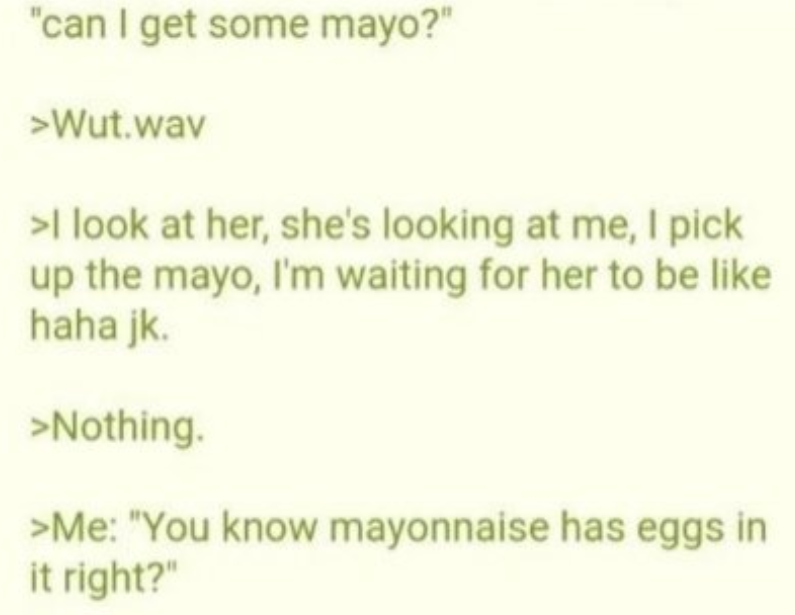 This just in: Mayonnaise has egg whites in it! Awkward moments constitute a significant part of our daily interaction with other people. Sometimes, we ignore these minor things and move on with our daily routine. At other times, however, we just cannot overlook anything because the sudden realization of a particular matter is much worse than the embarrassment itself. 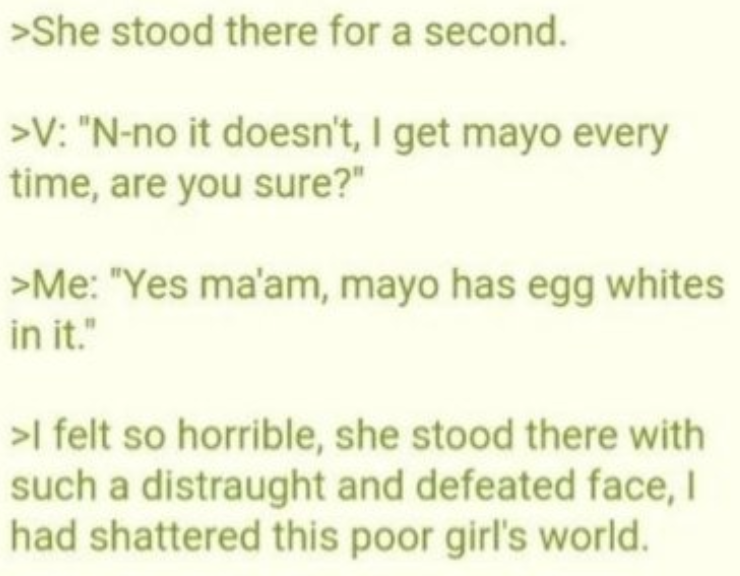 Funnily enough, the latter just happened with this one particular vegan girl at subway, and honestly, it’s heartbreaking. You see, time after time we have witnessed vegans in a lot of different and sometimes rather “interesting” situations. However, what happened today with this girl just left her completely shocked, and I’ve honestly got to say I feel bad for her. 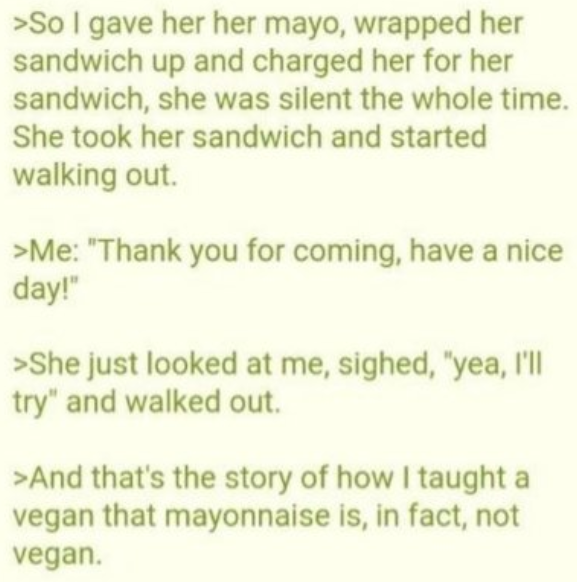 Scroll on below and read how a guy at the subway describes what happened when a vegan customer walked in and demanded mayonnaise on her sandwich. So what did we learn today, guys? 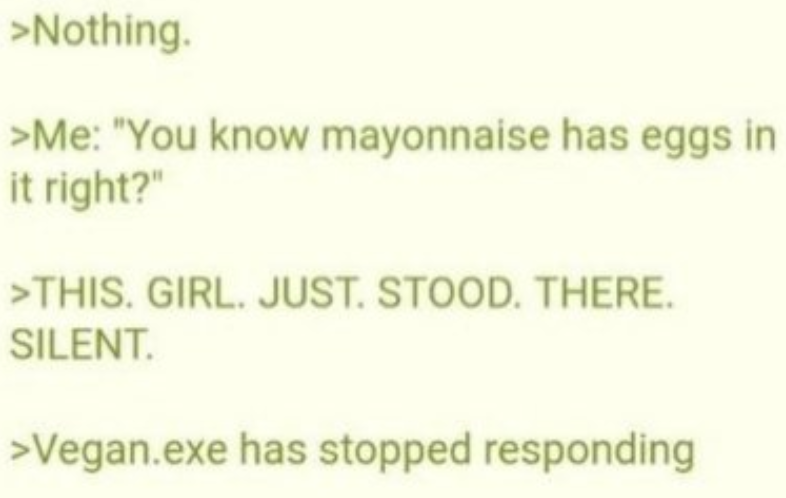 We learned that Mayonnaise is, in fact, not vegan. 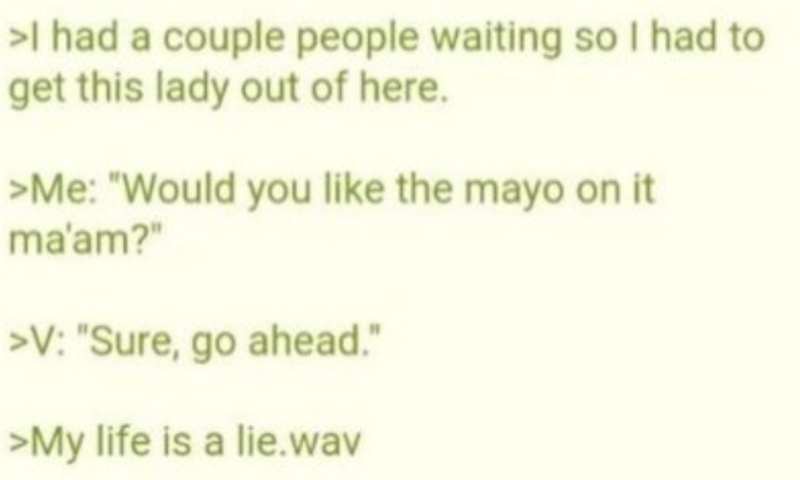 Also, neither is Mayonnaise an instrument. (Just saying it out there for future reference). So, what do you think of it? Have you or anyone you know ever experienced anything like this before? Share your thoughts with us in the comments below.